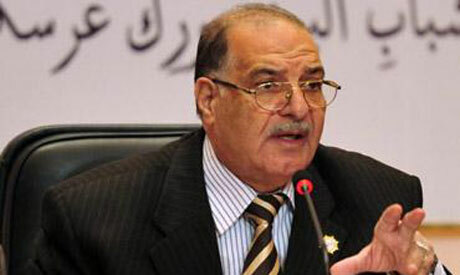 Judge Abdel Moez Ibrahim, head of Egypt's Supreme Committee for the Presidential Elections, declared on Monday that presidential hopefuls would be allowed to formally register their candidacies starting from 10 March. Ibrahim told Al-Ahram's Arabic-language website that the committee had urged the ruling Supreme Council of the Armed Forces (SCAF) to conduct presidential polls at the earliest possible date. He cited 10 March as the "most appropriate date" for candidacy registrations, since elections for Egypt's Shura Council (the upper, consultative chamber of parliament) will have ended by then. "The presidential elections committee will convene on Tuesday – or Wednesday at the latest – to discuss the necessary procedures and to decide on the committee's managerial hierarchy and headquarters," Ibrahim said. Bringing forward presidential polls comes in line with demands by several of Egypt's post-revolution political forces, which have recently stepped up calls for the immediate handover of power from the SCAF to a civilian authority. Last week, the SCAF-appointed Advisory Council called for beginning the candidacy registration process on 23 February in hopes of bringing presidential polls – previously slated for June – forward. The Advisory Council, meanwhile, suspended its activities until its recommendations were considered by the ruling SCAF. According to the original timetable for democratic transition laid out by the SCAF, candidacy registration had been slated to begin on 15 April. Wednesday's disaster in Port Said, which saw 74 football fans killed in the wake of a league game, turned up the heat on Egypt's military rulers and triggered clashes between anti-SCAF protesters and security forces outside the interior ministry building in Cairo.